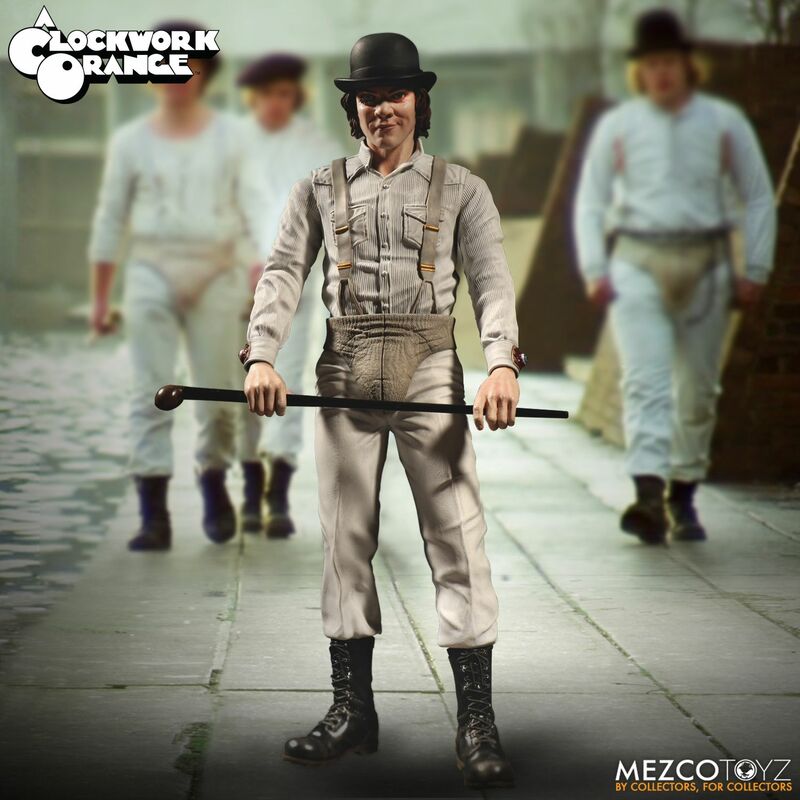 Mezco has opened up pre-orders for a new A Clockwork Orange – Alex DeLarge 12″ Scale Figure. 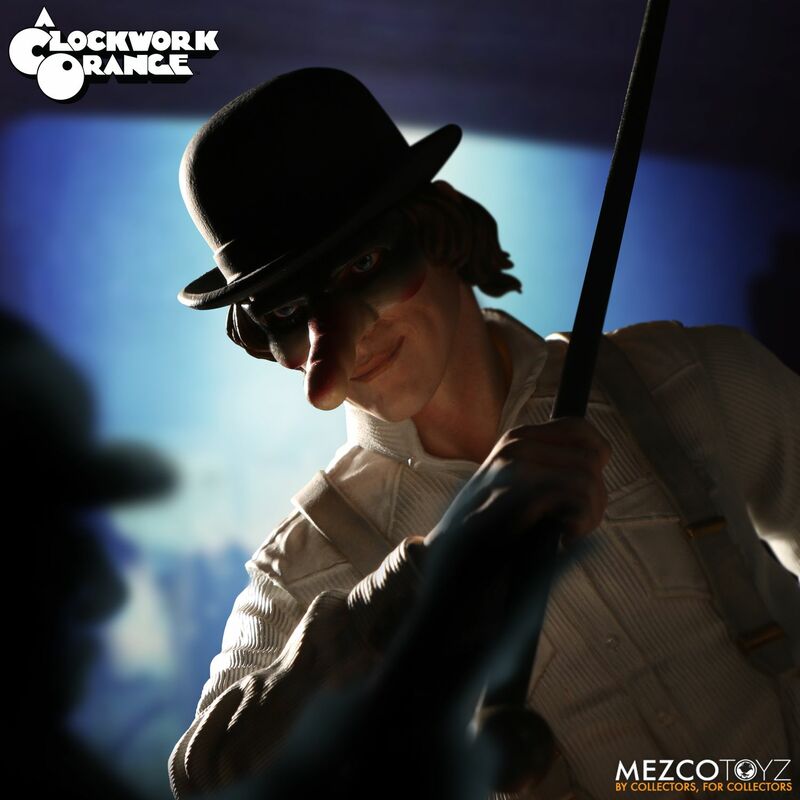 The figure has about 9 points of articulation and included a removable masquerade mask, and a cane with hidden knife. The figure is priced at $44. It’s expected to ship out between December 2018 and February 2019. See details below and the new photos after the jump. 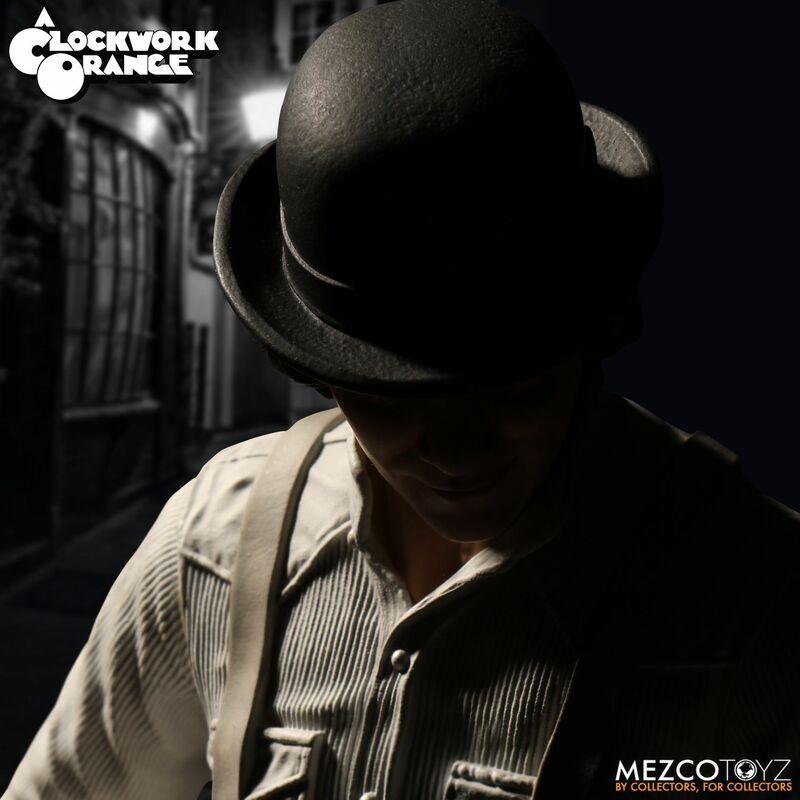 Click Here to pre-order. 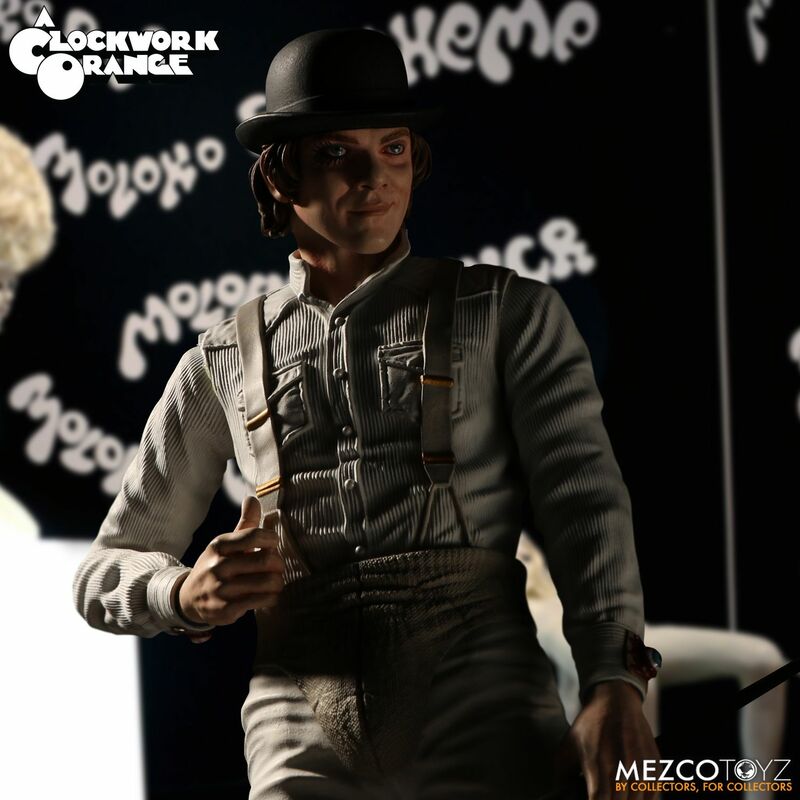 Direct from Stanley Kubrik’s cult classic, A Clockwork Orange, comes the Alex DeLarge 12” scale figure featuring 9 points of articulation and the likeness of acclaimed actor, Malcolm McDowell. 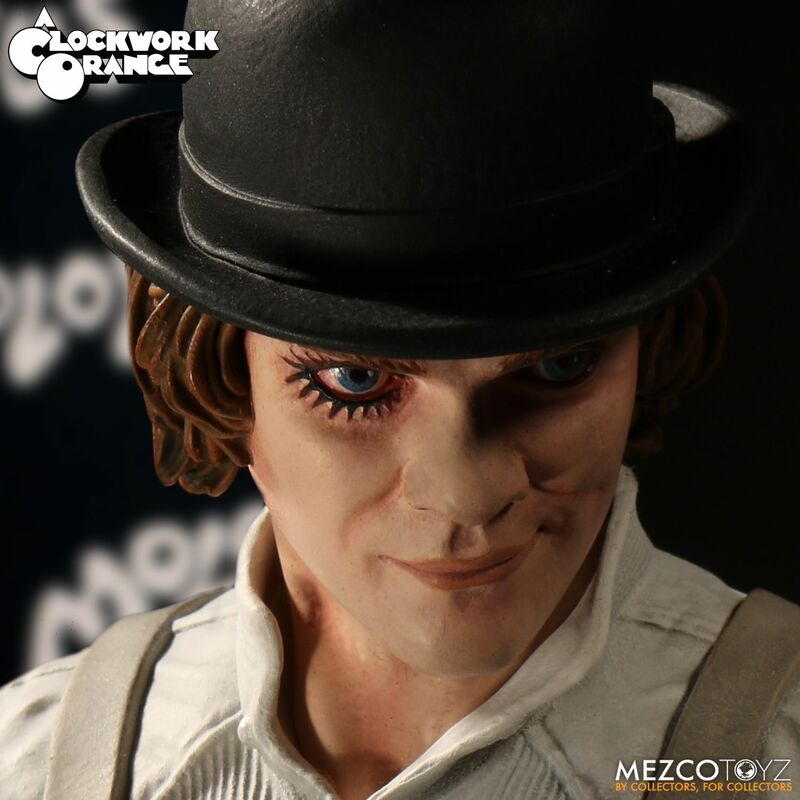 The leader of the Droogs invokes a sinister smirk, embellished with his flamboyant eye make up. 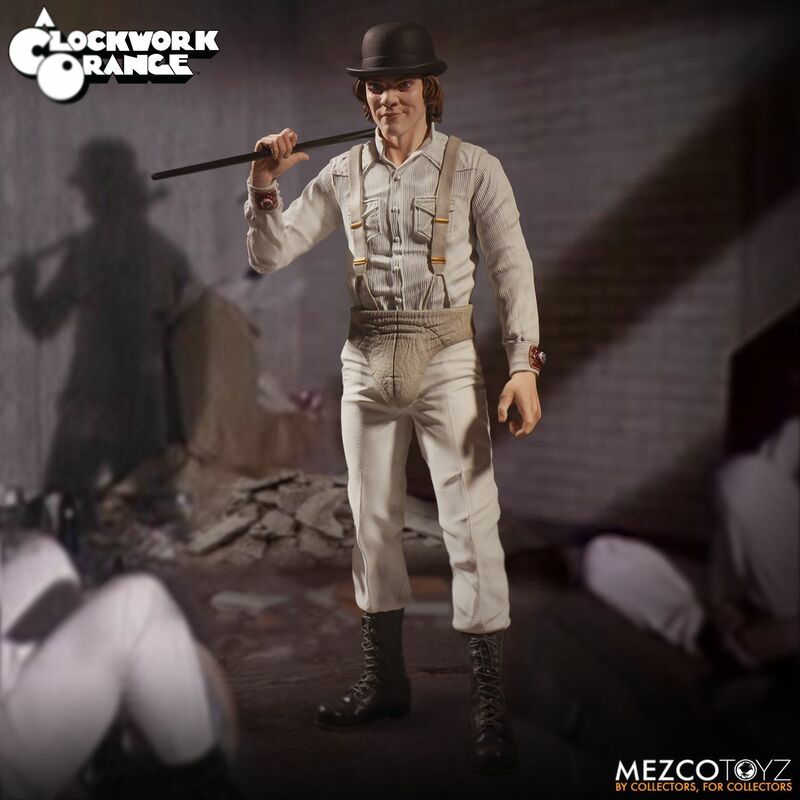 No detail was overlooked when designing Alex’s signature all-white outfit, from his suspenders and codpiece, to his iconic eyeball cufflinks. 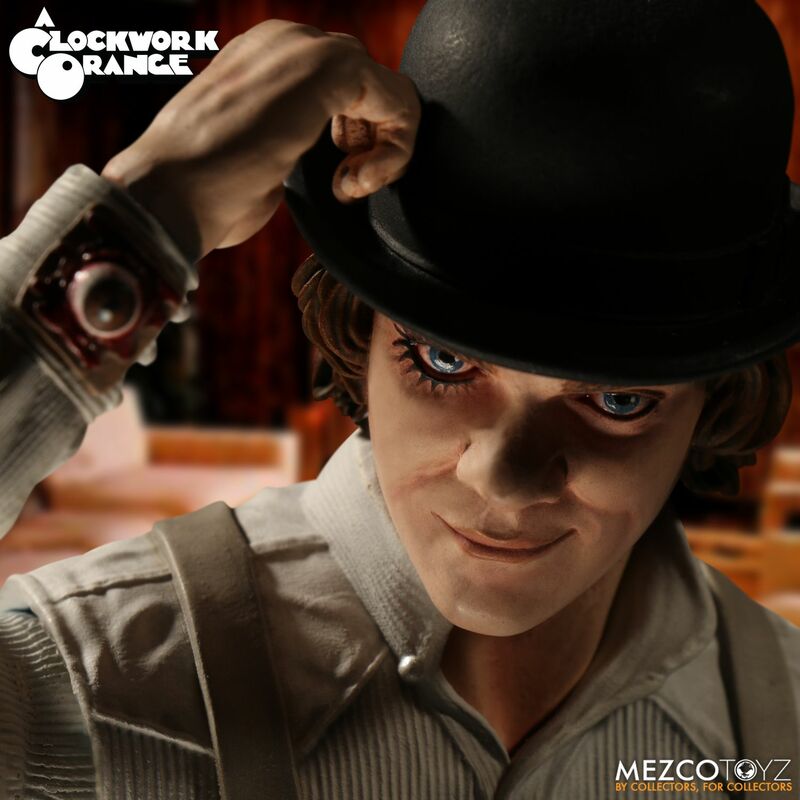 This sociopathic delinquent comes complete with a removable masquerade mask and cane with a removable top, revealing a hidden knife. Very interested. What are the 9poa? 1 Head, 2 shoulders, 2 knees, 2 hips, 1 waist, 1 ab? Most likely neck, shoulders, elbows, wrists and swivel on the boots. Don't think there's any hip or knee articulation. That is pretty, even if it lacks a lower body movement. I see the 2 shoulders, the elbows and the head. 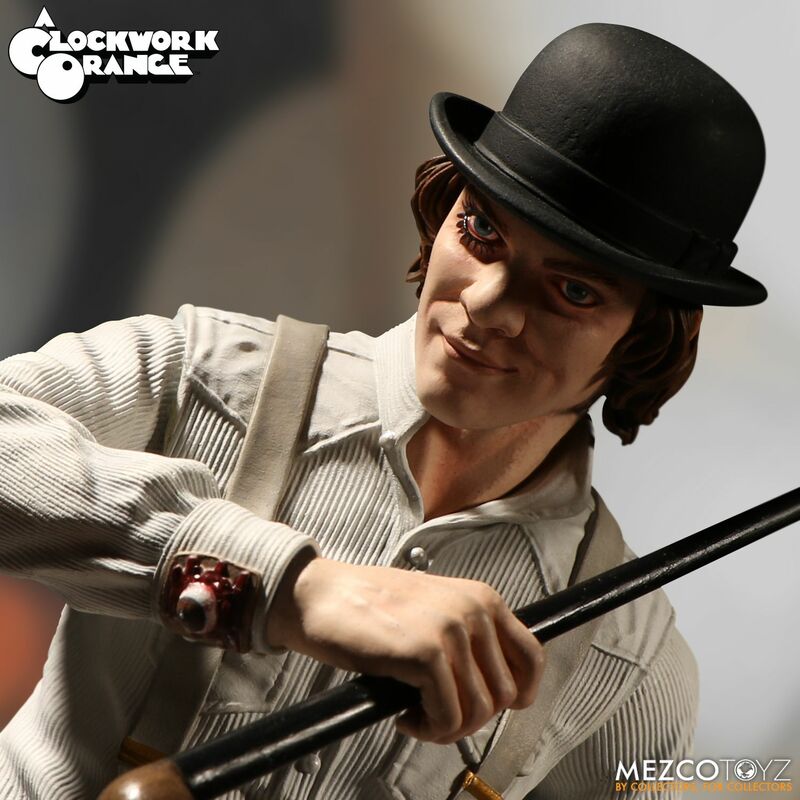 Wrists probably...but the point is, really good price for a 1/6 scale. I mean I am in all the way. It's a roto-cast figure. It looks nice, but it's hollow plastic and they have made such things before (e.g., Mega Scale Thundercats) at about $30-40 MSRP. It actually is really well sculpted though. I looked hard at it because I coulda sworn at first glance it was a 1/6 scale fabric costume/mixed media figure and, like yourself, was wondering how the hell it was only $44. The texture on the shirt and codpiece is really well done. Ultimately, I'm tempted, but the lack of articulation kills it for me. It seems like one of the Color Tops jawns or whatever McFarlane is calling their 10" staction figures. 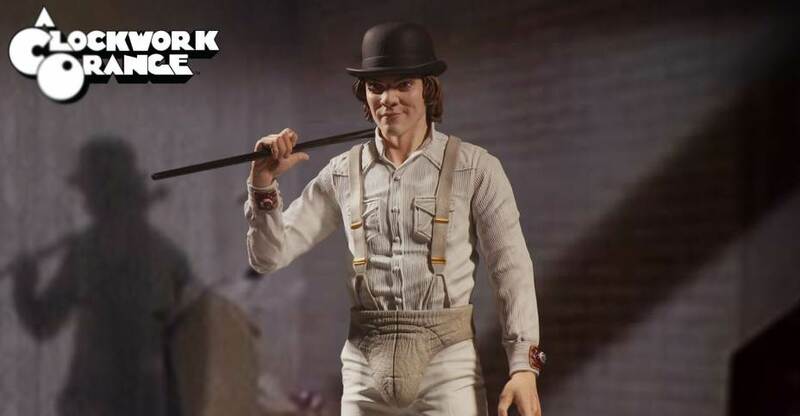 Im definitely picking this up, even as a rotocast figure, the likeness is spot on.